Announcement Want it gift wrapped? we will gift wrap it and even include a card for free! just leave a note in the comments section of your order! 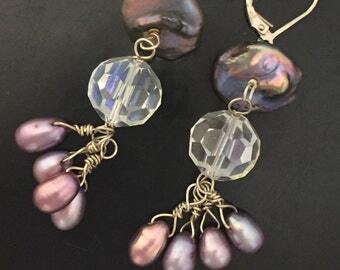 Hidden Jewel sells custom handcrafted jewelry, specializing in hand crocheted pieces, and wire wraps. We are a husband an wife team who spend all our free time making jewelry for others! We hope you enjoy our shop! Want it gift wrapped? we will gift wrap it and even include a card for free! just leave a note in the comments section of your order! Hidden Jewel of the South End...In Boston and On Etsy! 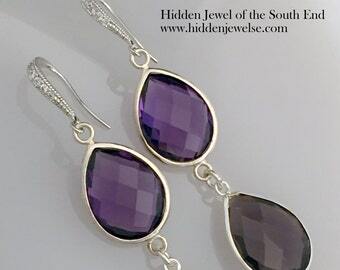 Hidden Jewel SE is the Etsy shop for the real world jewelry store Hidden Jewel of the South End. We specialize in handcrafted contemporary jewelry including intricate beaded peyote bracelets, crocheted necklaces and bracelets, gemstone wire wrapped jewelry and stylish men's accessories. We are Jack and Stacy; husband and wife team, owners and creators of Hidden Jewel. Jack has a career in healthcare while Stacy formerly held a position in the mental health field and is now able to devote herself to jewelry design full-time. One Valentine's Day we took a jewelry-making class together and discovered that we had a mutual interest in designing and making jewelry! We began crocheting necklaces, bracelets, cuffs, and more. Later Jack attended a wire bangle class, where his passion for wire-working was ignited. In his spare time he can now be found attending to his new passion for designing all sorts of jewelry using wire, silver, gold and various stones. Today, both online and in our store in Boston, Hidden Jewel of the South End is the setting for our family's ever-expanding creative collaborations. We love to share our jewelry-making passions with customers and clients through the eye-catching one-of-a-kind pieces that we make. Our goal at Hidden Jewel of the South End is to empower you to experiment with, develop, and realize your unique vision for a truly meaningful piece of jewelry. 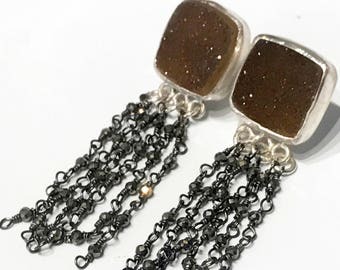 We encourage you to take a look through our collection of jewelry here on Etsy and place an order or let us know if you would like us to make something personal just for you! Years ago, Stacy began making jewelry as "therapy" for her stressful job in mental health. Later Stacy began passionately making necklaces, bracelets, cuffs, etc. After some time, the passion became stronger, she left her job to form Hidden Jewel! Shortly after meeting, Jack+Stacy discovered their mutual interests in jewelry. Jack loves manipulating metal, to design jewelry. Jack can be found attending to his new passion during his spare time from his full-time career in healthcare.